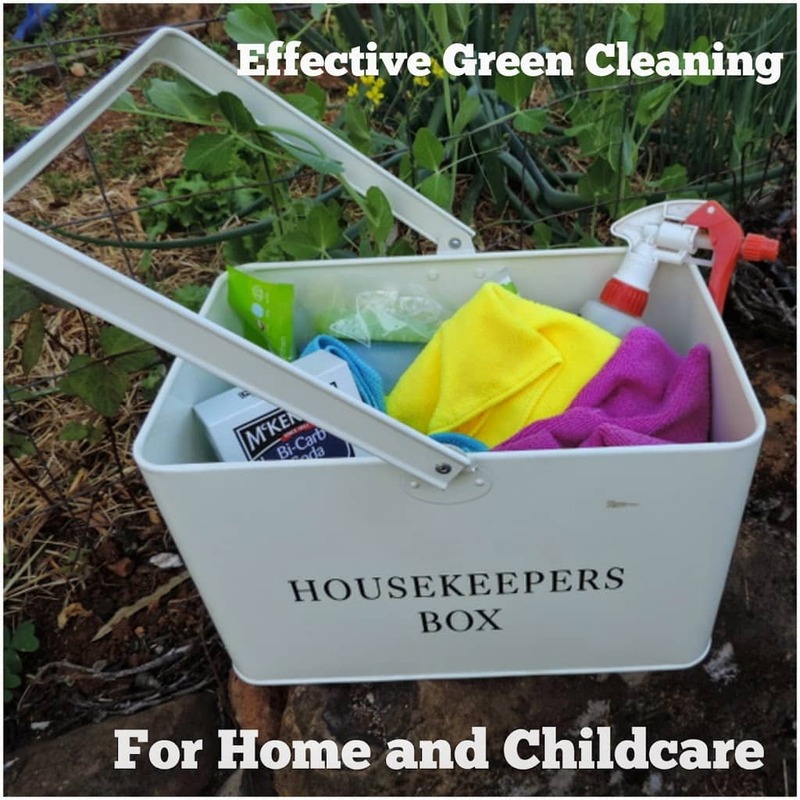 Effective and Safe Green Cleaning for Home and Daycare! 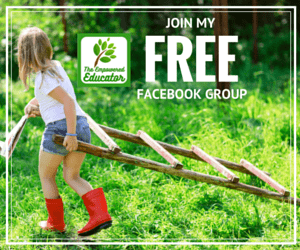 As a parent and also an early childhood educator I feel a great responsibility to ensure that not only my own children but also the children in my care are not exposed to harmful cleaning chemicals as they play and learn. 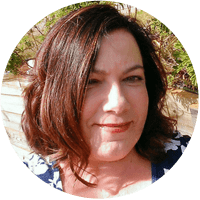 I know many of you reading will agree and say that it is important to keep harmful products locked away out of children’s reach and it’s something you do routinely…but have you also considered the effects to children (and you!) while you are using those products? Growing numbers of children – (including my own so I have done a lot of research the last few years about this topic) have a sensitivity to many of the cleaning products on the market today. They may worsen asthma, allergies and other sensory sensitivities and they can also contribute to behaviour issues and heighten some learning difficulties. One of my twins, Ruby, gets an awful asthma cough when exposed to cleaning products that have a distinct smell, this includes some of those that are essential oil based. She once threw up when I sprayed lavender oil/water in her room “to promote a restful sleep”! yeah, lavender didn’t calm me that day I can tell you! She is ok with the lavender picked from the garden though. She also cannot tolerate commercial air fresheners. I cannot use laundry powders with perfume as she breaks out in rashes, as does her twin. 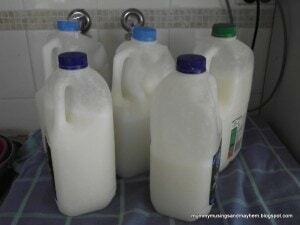 This is when I first began to make my own laundry liquid. So when you spray that air freshener everywhere or wipe over surfaces with disinfectant, use ‘special’ cleaning cloths already coated with a cleaning product, clean the shower with that potent smelling ‘bathroom cleaner’ or wash your floors with the ‘germ free’ solution consider what a child’s senses might be experiencing. Think about what they are smelling, touching, tasting. There is often residue left from all these strong cleaning products so they don’t need to be actually drinking the stuff for it to be harmful to their little systems! Advertising campaigns are very good at playing on our mummy guilt, we want that germ free household and will use whatever product it takes to make that happen. We don’t want sick kids, we want our home to be a hygenic environment, we want the best and are willing to pay for it right? Am I telling you that is wrong? No, not at all, this blog is about my opinion and how I parent and educate, what is right for me may not be right for your household and that is perfectly ok. What I do want to do though is provide you with some information that you might not have considered before, that might encourage you to take some baby steps into what I believe is a safer and more budget friendly cleaning option for your family or home daycare service. “But we have to use those products to keep things clean!” I often hear from other parents and educators. They have been told they must clean in a certain way to provide a hygienic germ free environment and that’s what they do. But is there an alternative? 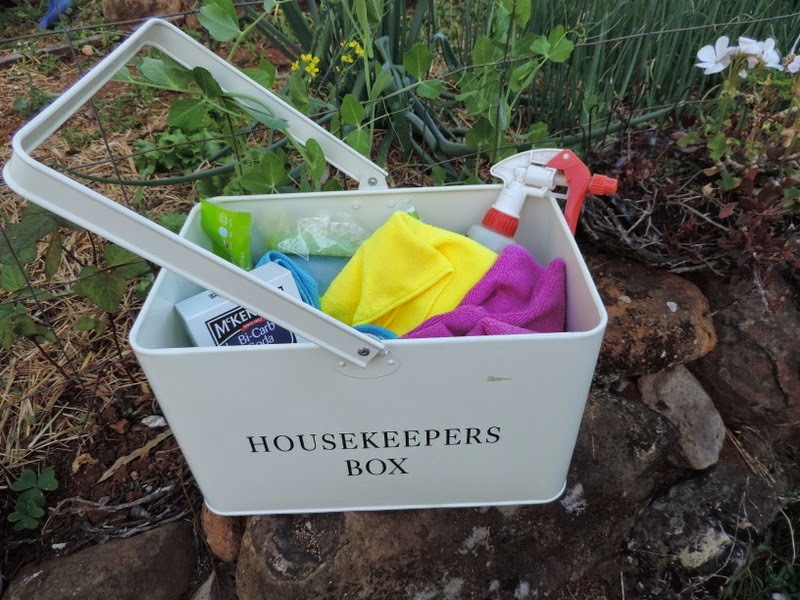 If you are talking about the family home then it is easy to incorporate some greener cleaning methods straight away…for those working as early childhood educators it can be a little more fraught depending on who you work for (self or centre) and the environment you work in (centre/home based). There are regulations, rules, policies and procedures to follow. A shame though that they often seem to be interpreted in many different ways. No wonder so many are confused! I personally think many in the early childhood sector are going overboard with the cleaning they do, the products they choose to use and the expectations of staff. I know we want to maintain a hygienic and relatively germ free environment but there are ways to do this without spraying toxic chemicals and wiping disinfectant and antibacterial agents over everything. The aggressive advertising campaigns around germ free households and child care environments certainly have a lot to answer for in my opinion. So let’s get to the bottom line….please keep in mind that I am talking about this issue from an Australian perspective, obviously regulations and other considerations will vary in different countries and even different states within Australia….but I believe it is well worth you investigating a little so you can make some informed decisions. 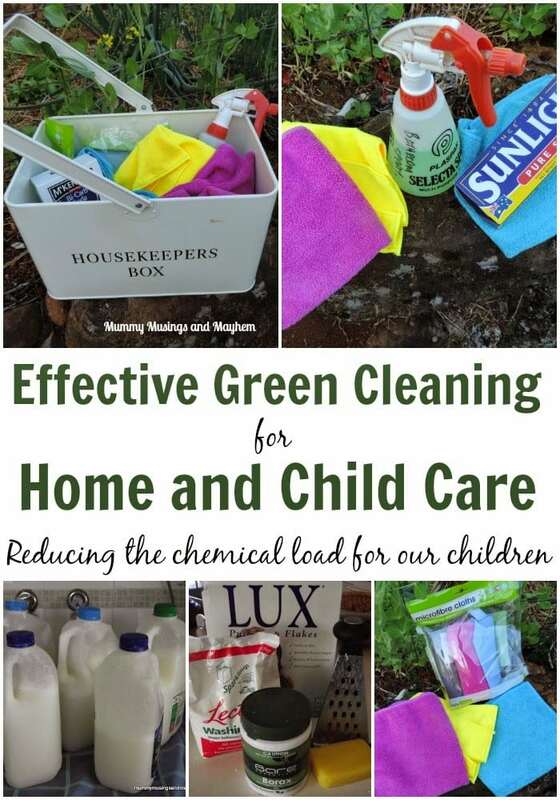 When we discuss sustainability in early childhood practice I think we need to explore and consider some safer and greener cleaning practices to reduce our chemical load and what we are exposing young children to on a regular basis. How can we use fewer products and safer alternatives? Can we do that according to current health and safety regulations? Healthy in early childhood and education care services. 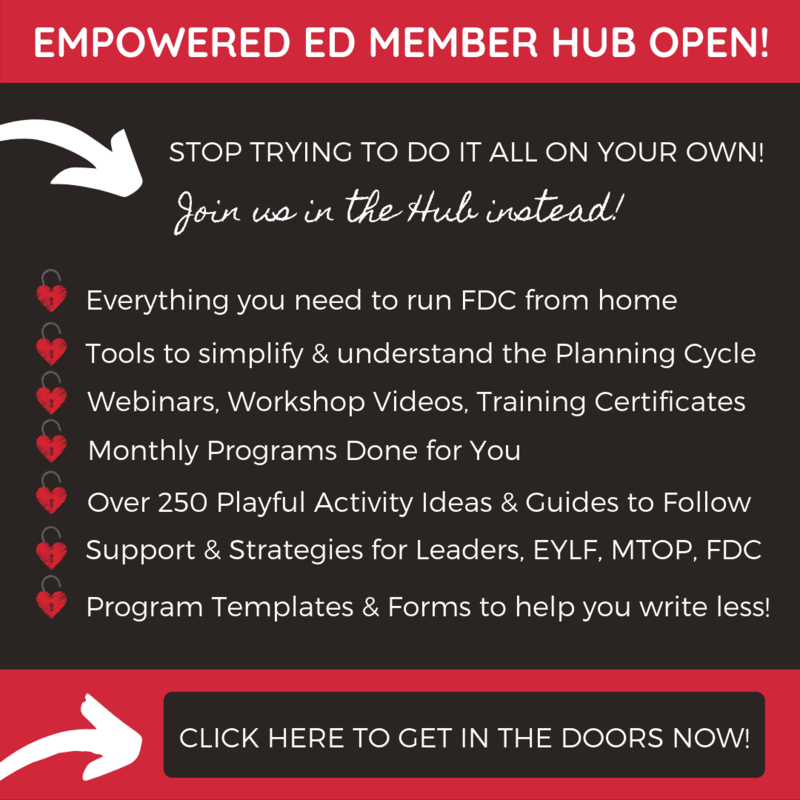 which is a guide that many early childhood educators should be familiar with and many home based child care coordination units and long day care centres base their policies and procedures regarding health and hygiene on here in Australia. For toys – use the dishwasher or warm water and detergent. Make sure to rinse and then leave in the sun to dry if possible. If a toy can’t be washed then don’t buy it is my recommendation. Keep a box for mouthed toys and wash at end of each day if you have babies. For bathrooms and toilets – Wash surfaces with detergent and warm water. There is no need to use disinfectant unless you know that the surface has been contaminated with potentially infectious material via body substances or blood. 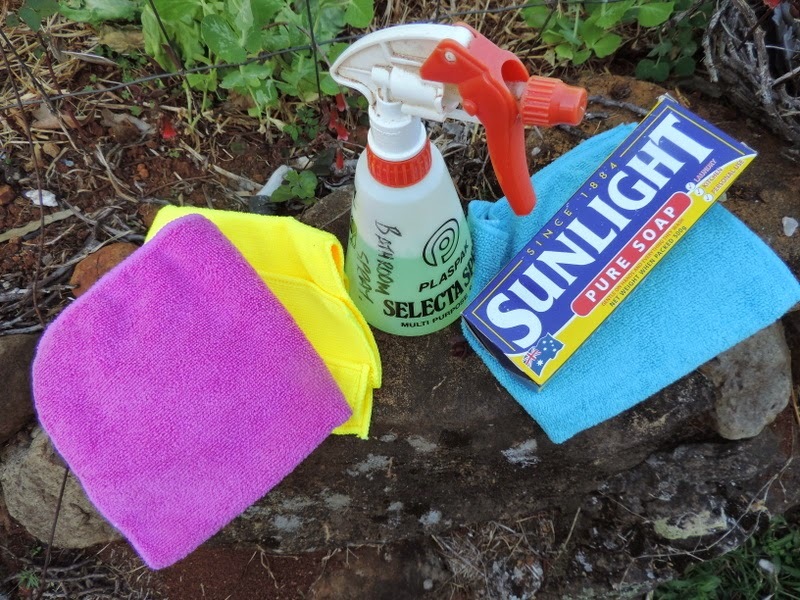 If using bleach because of a gastro/contagious outbreak, blood spill or similar then you need to apply it after you have washed and dried the surface first as above. Disinfectant is only required during reportable outbreaks. Interesting right? Seems you don’t need that bright pink wash and smelly floor cleaner to ensure you are following best practice procedure. One reason I found it very difficult to wash my hands when working in child care centres was because many of them used that awful bright pink handwash that would leave me with severe dermatitis on my hands! I really hope that stuff has long gone now but I know it was a cheap option so it’s probably still out there lurking! Well that’s fantastic Jode I hear you say (you know I often like to pretend I can hear you all reading along with me so just indulge me ok!) but how do I clean effectively then? 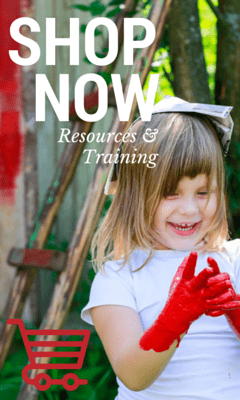 What do I do in my home and family day care service? 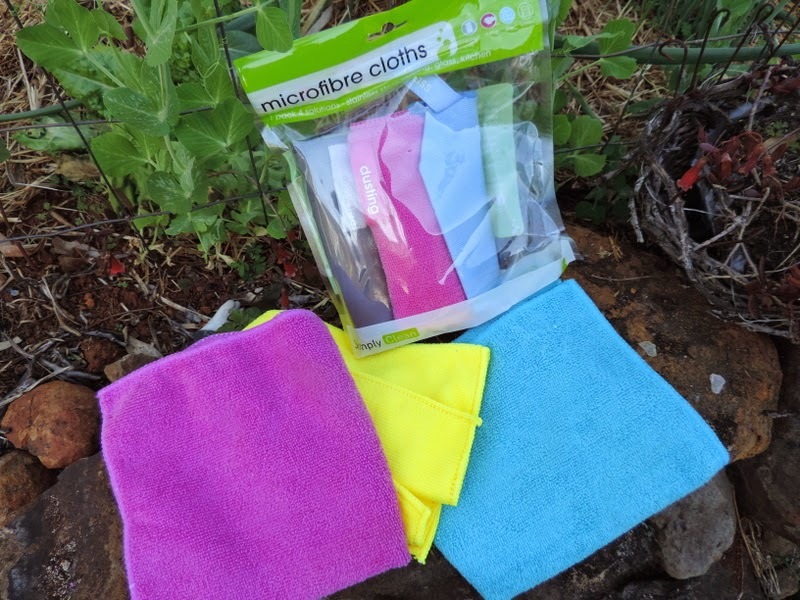 Colour coded cloths that can be washed and reused over and over – blue for bathroom, green for kitchen, purple for tables and yellow for dusting. I use paper towel for floor spills. Plain eco friendly/low sudsing washing detergent diluted in water in spray bottles and bleach for cleaning bathroom surfaces, kitchen and eating surfaces and nappy change mat. I apply with paper towel and dry with paper towel. You can use reusable cloths as another option when wiping down the change mat but keep in mind that you will then need to wash them after each single use so by the end of the day you might have a lot of extra washing (if also using handtowels and washers for the children) so that is more water and electricity being used which may or may not outweigh the cost and use of paper towel. Paper towel works most effectively for me so that is what I stick with but it’s a personal decision. If I need to use bleach I dilute it only as needed as it loses it’s effectiveness if stored diluted so don’t put it into a spray bottle and leave it ready to use! I always ventilate the bathroom and house as much as possible as part of my green clean plan. I fill my bathroom sink at nappy change times with warm water and apply detergent via spray bottle onto the mat then wipe with paper towel and the warm water. If I want to give the bathroom areas a good scrub I make a paste with bicarbonate of soda and a little vinegar and use a scourer or rags wrapped in those orange net bags work really well too. If I feel I absolutely need to use some jif or other commercial cream cleanser I do it when there are no children are in care that day and my own kids are out of the house therefore not exposing any children to potentially harmful chemicals. I generally avoid products with a fragrance if I can. 1/2 teaspoon olive oil in 1/2 cup vinegar makes a lovely wooden furniture polish, if you want to add a little fragrance without being overpowering in the home some lemon juice or essential oil works well. store in a jar with lid or recycled spray bottle and use an old tea towel or rag for applying. 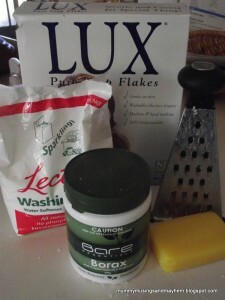 I like to make my own laundry liquid or powder when I can. It lasts for ages and is therefore very cost effective. It also has a lovely subtle ‘clean’ smell! I use vinegar in my washing machine as a cleaner and also fabric softener. 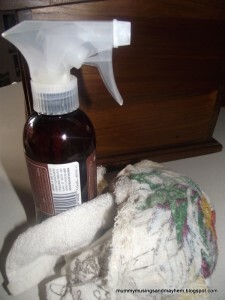 1/4 cup of homemade (clothes) washing liquid in warm water makes a fantastic floor cleaner. I like to keep them all together in a little caddy so I am ready to go when I need something. 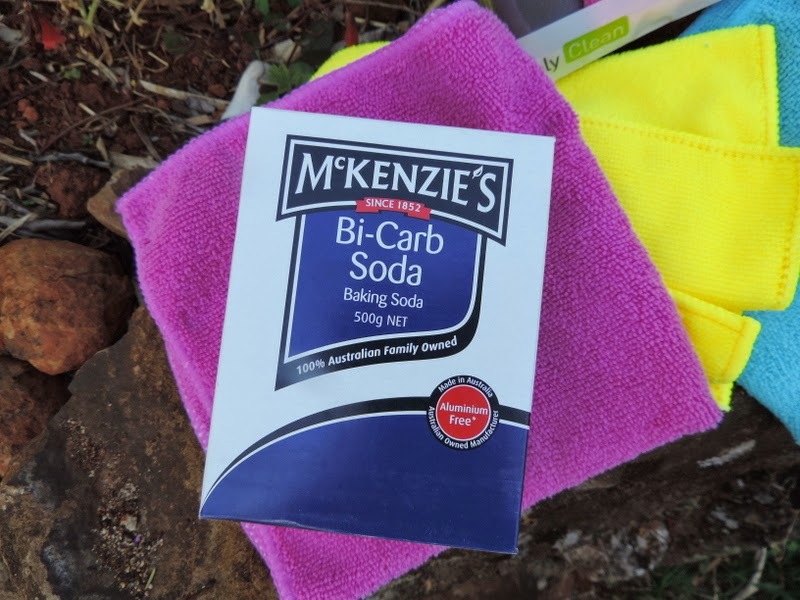 So if you work as a home educator or in centre based care or are the parent who does the cleaning in your home why not consider getting rid of some of those toxic chemicals you have locked away and try a little detergent and elbow grease instead! Obviously for educators reading this guide, check the recommendations and regulations with your own governing body but I’m sure there is at least one of the practices above that you could incorporate into your service. Every little bit helps and perhaps it is up to you to raise the question of the effect that toxic cleaners and even some ‘natural cleaners’ are having on the sensory systems of the children in our current germ phobic society. 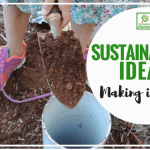 Would you consider some greener cleaning alternatives in your home or workplace? 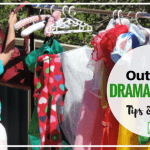 Taking Dramatic Play Outside – Ideas to get you started! 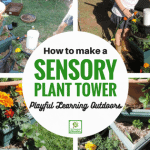 Gardening with Children – Make a Sensory Plant Tower! 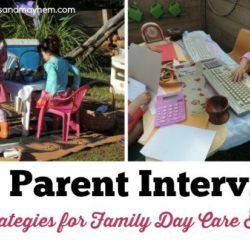 Interviewing new parents for your Family Day Care Service – 5 Top Tips to ensure your success! You have to be nominated for the best cleaning mom! You are amazing! And you are such an inspiration! I will use all of your tips! I’ll come back soon for more interesting post! Green cleaning is usually budget friendly. But the main reason people don’t go with a green cleaning company is that they believe it’s more expensive than a regular cleaning service. I’m interested in this for my child’s daycare but they said they need something that says it’s hospital grade. I’m assuming state regulation. is there anyway to get that on this product? No I don’t think so sorry Lorene. It could be a state regulation depending on the area you are in but more likely it is a requirement of your service, unfortunately not all are onboard with cutting down on chemicals.